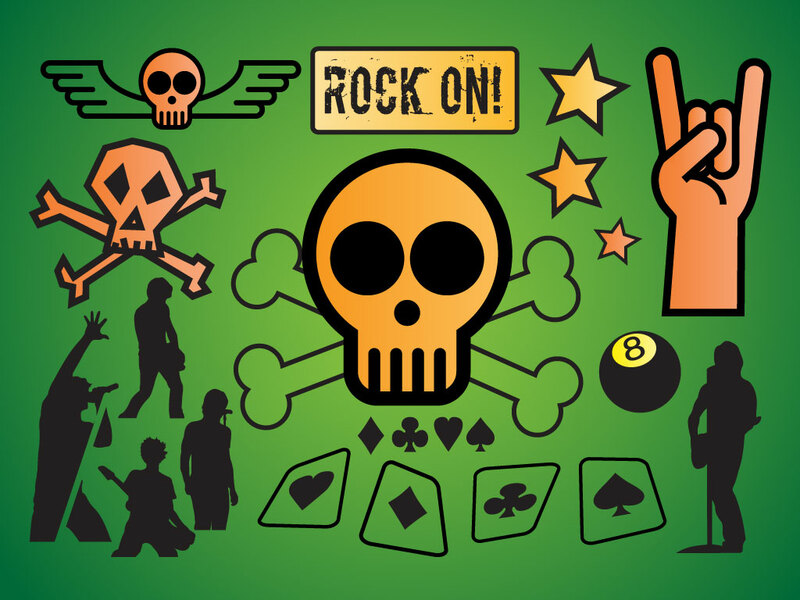 This cool punk or rock clip art pack includesa “rock on’ logo, heavy metal skulls, rock star singers and guitar player silhouettes, eight ball and poker cards. Cool original graphics for your posters, t-shirts and websites. Tags: Ace, Cards, Poker, Punk, Rock, Silhouettes, Skulls, Wings.